I'd like to share one wonderful news that I read recently. One man from Skype Journal offers one of the cleverest ideas for using Skype. 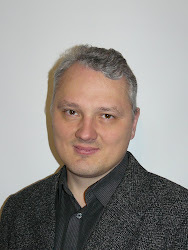 In short he suggests hooking up a type of a digital pen camera (endoscopic camera). The device would be able to show finely detailed objects within Skype video sessions. For example, you are selling coins on eBay. Using your Endoscope, you would be able to pan over the surface of the coin, and present it to prospective buyers in a high-resolution that would be real-time rather than a series of high-res stills that simply evoke more questions from your would-be buyer. Medit Inc is very glad to present its new Portable Video Borescope. This Portable Video Borescope is a nice solution if you need a good videoscope but not ready to pay $15,000 - $60,000 for a complete videoscope. This new borescope is designed to provide a low cost video inspection of hard-to-reach areas. The set includes the Video Borescope with a LED light handle, RCA cable and a portable video capturing device. 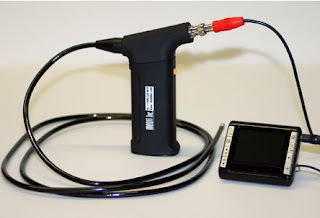 You can connect the borescope directly to TV monitor or use it with the portable video device. 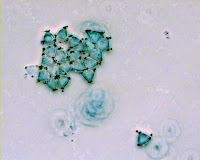 No secret how it is important to get a bright clear image of areas under inspection. A live video image is generated directly from the tip if the insertion tube, not through fiber optic cable. This solution gives you much brighter image than any fiberscope! With the help of the video capturing device you can see real time video of your inspections and capture it for future processing, archiving or educational purposes. Purchasing this video borescope you get everything required for portable inspections without any power cables or outlets. Discover the World of Medit Videoscopes! Electrical engineers at Rice University have demonstrated what they say is the world's first endoscope for terahertz imaging. The research, which appears in the November 18 issue of the journal Nature, presents the emerging terahertz sensing industry with a unique new technology for transporting terahertz waves from a source and directing them at a particular target of interest. "Our wave guide opens up a whole new class of capabilities because it offers a way to get terahertz energy into places it could never reach before," said lead researcher Daniel Mittleman, associate professor of electrical and computer engineering. "Wave guide technology frees you to look around corners and get into tight places." Metals and other electrical conductors are opaque to T-rays, but they can penetrate plastic, vinyl, paper, dry timber and glass like X-rays. Unlike X-rays, T-rays are not hazardous radiation, and in some cases T-wave sensors can reveal not only the shape of a hidden object but also its chemical composition. T-rays lie between microwaves, whose wavelengths measure from centimeters to millimeters, and light, with wavelengths measured in nanometers. The gap between - the so-called terahertz gap - contains wavelengths from 30 to 3000 microns, or 100 GHz to 10 THz when measured in frequency. The terahertz gap has been called the "final frontier" of the electromagnetic spectrum because there's never been an easy or cheap way to either generate or measure T-rays, something that's only begun to change with the advent of new technology in the past decade. The development of "wave guides" is a key element in the technical maturation of T-ray technology. Wave guides - like fibre optic cables for lasers and coaxial cables for microwaves - allow energy to be moved and directed where it's needed. This is particularly useful if the beam generator is bulky or temperamental. Both fibre optic cables and coaxial cables work by confining the energy of the beam in a small space, causing it to propagate down the cable. But coaxial cables aren't good guides for T-waves because the metal sheath absorbs T-wave energy very quickly, and fibre optics don't transmit T-waves. By blending some aspects of both these technologies, Mittleman's team devised a system to guide T-waves in and out of a confined space. Mittleman and his student, Kanglin Wang, stumbled upon the idea for the wave guide when they noticed T-waves were moving down a wire during an experiment on a new form of terahertz microscopy. In follow-up experiments, they found they could move T-waves along a bare wire, direct those waves onto a surface, catch the reflected waves on another wire, carry those reflected waves back to a receiver and analyze the return waves to reveal information about the surface the original wave was shined upon. "There are lots of places where T-waves would be handy but where they're difficult to use today," said Mittleman. "Free-space beams are notoriously temperamental - a shortcoming that's kept them off of some factory floors - and our endoscope technology has the potential to change that." The US Naval Air Systems Command (NAVAIR) has awarded a contract to Pratt & Whitney to provide maintenance support for Rolls-Royce Pegasus F402 engines that power AV-8B Harrier fighter aircraft flown by the US Marines. The follow-on contract is for high-pressure compressor blade repairs using blendable boroscope technology that can be applied without removing the engine from the aircraft. The equipment is made up of a borescope with miniature-grinding tools and another borescope equipped with a video camera. The grinding tool is inserted into an engine through a servicing port and guided to the site of the damaged blades. Once found, the blades are ground smooth to restore their strength. To repair damaged blades on a typical aircraft, the engine has to be removed from the Harrier, requiring up to 850 hours of labour and costing as much as $500,000. With an average of 30 engine removals per year, NAVAIR estimates that the process could allow 83 more weeks of aircraft usage per year, potentially saving more than $10 million in maintenance costs. Pratt & Whitney's latest agreement with NAVAIR follows a one-year contract where Pratt & Whitney supplied these services for Harrier aircraft flown by the US Marines from 2001-2002. The follow-on contract is for one year (2002-2003), with options for two additional years. If fully implemented, the agreement would be worth over $2 million to Pratt & Whitney. Medit Inc presents a new powerful Alpha-V1 videoscope system as best solution to all of your inspection needs. Videoscope has many advantages and it pays for itself. The Alpha-V1 gives you a portable system that is lightweight to improve inspection time. The videoscope system provides high resolution still or moving images which help to improve detection any flaws. This system is a complete system with picture and video capabilities. You can save them to a CompactFlash™ memory card. Then you can download images to your computer for archiving or data processing. A carrying case provides a complete protection for your Alpha-V-1 video system. 24 watt Metal Halide light source gives you a bright image. You can view pictures on a large 6.5” TFT display. The diameter of probe is 4 mm, and with its 2000 mm length the system can reach the most difficult places for inspection. 1. You have to select a diameter of the scope that will fit in the smallest diameter access hole or port you intend to inspect. 2. Then determine the correct length. This distance is how far inside the borescope or fiberscope must reach to provide full inspection viewing. Do you have access to both ends of the assembly or piping? (purchase a scope that is 1/2 the length needed) Is the access only from one end? (Full length). Then compare the fiberscopes we offer to find closest matching borescopes. Rule of thumb: Longer better then shorter. 3. Do you need flexibility of the scope, so it would be able to bent. If so - choose fiberscopes not rigid scopes. But if you dont need flexibility, then better choice is rigid scopes cause it gives superior image quality. 4. Do you need that scope has ability to articulate a tip while you doing inspection ? Or if you need to pass complicated corners or tubes. If so, choose an articulated flexible borescope (fiberscope) or videoscope. 5. Define the area being inspected and unknown condition. Will you have enough light at a given distance? 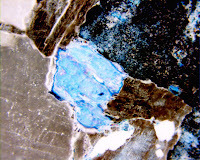 Will the light reflect internally (polished surface) or will it be absorbed (coal black or carburization). Will you be close enough for proper magnification or far enough away for overall viewing? 6. Define how close the scope tip will be from the area of interest. The closer you are, the increased magnification you achieve. The depth of field of most borescopes is huge compared to many other lens systems. Most scopes stay in focus without adjustment from a couple millimeters from the tip all the way to infinity. The common working range is within 1-2mm from the tip to approx. 5"-6" away. 7. Will the test results need permanent documentation from still photos or video? If so, you will need a scope with this capability either a videoscope or rigid borescope or flexible borescope (fiberscope) with a video kit. 8. Does a image quality is a main concern? Then choose videoscopes! videoscopes has CCD or CMOS on the tip and image quality is compatible with professional video cameras. Since you decided what device is convenient for your job, you can go and shop for rigid borescopes here, and portable video scopes here. We have noticed an increase in sales to other fields besides automotive. HVAC technicians use fiberoptic borescopes to inspect for mold in ducts and on evaporator coils. Law enforcement uses them to check for contraband and controlled substances under rear seats, consoles and trim panels. Plumbers use fiber optic bore scopes to pinpoint the source of leaks and identify the cause of blocked drains. Electricians use fiberoptic borescopes to see snaked wires through walls, some even attach a hook to retrieve the wire once it is spotted. Exterminators and home inspectors use fiber optic borescopes for termite inspections. Exterminators also use this tool for follow up after an application to verify its effectiveness. Welders use borescopes to check inside vessels or tanks to look for "burn through". Carpenters use them to check walls for plumbing or electrical before using fasteners. I found an article about borescope use to check engine. 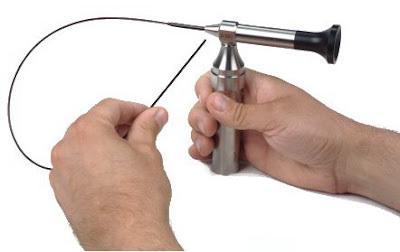 It illustrates how a borescope can be used. "If there's evidence of coolant loss, ask the customer to leave the vehicle overnight. Safely vent the cooling system pressure at the pressure cap, then install a cooling system pressure tester. Apply pressure to the cooling system with the tester, then allow the engine to cool down. If the pressure tester appears to be losing pressure as the engine cools, keep adding it with the pressure tester. When the engine has cooled completely, begin looking for coolant leaks. Remove the spark plug first. If you're lucky and the leak is large enough, yon may be able to see coolant leaking into the combustion chamber. It may even give you a shower when the ping is removed. A borescope would be handy here, as it would allow you to identify the precise source of the leak by looking through the spark plug hole. Potential leak sites could include a cracked cylinder head or a blown head gasket. You'll be able to see the coolant leak dripping from the head crack or gasket fault with the borescope". Find more about borescopes using to check car engines at Fiberscope.net Automotive Industry directory. In the case when a car has an interference engine (Daewoo Lanos), if the timing belt failed, there is a strong possibility the pistons hit valves before the engine stopped completely. First perform a compression test, if the valves are bent they will not seal properly and the compression readings will be low. Keep in mind if the timing belt is broken or not installed correctly, this could cause cylinders to have low compression also. Inspect with a fiber optic borescope through the spark plug holes, look for impressions in the piston tops. The fiber optic borescope can help by giving an indication of the damage that may have occured without disassembly. I would like to present a new device - Super Thin Micro Fibrescope from Medit, Inc. This fiberscope can be used for all kinds of Non-Destructive Testing and in other areas. 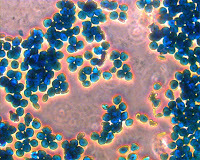 Its small diameter 1.9 mm provides excellent opportunities to study the most tiny places. Its high resolution 30,000 pixels allows effective inspection. It is equipped with Portable Super Bright LED light source included. Illumination is very effective with this diod based light source. The unique features of this device help it repaid a hundredfold! What is your choice: rigid borescope, fiberscope or videoscope? Size (diameter) of entry point. The necessary length needed to reach the area of inspection. Does the area to be inspected have a clear straight path or is there obstructions or curved or radius areas where the instrument would have to negotiate. Does your application require image documentation? where a borescope or fiberscope is adaptable to video the image produced has greater resolution and higher magnification. It is very good if many people view the image displayed on a monitor and allows for less eye fatigue than using them in the visual mode. It is also cost effective to attach a borescope or fiberscope to video as long as sufficient illumination is available. At the Fiberscope.net specialized web store for RVI equipment you can find some more information about and shop for rigid borescopes and videoscopes. Mid 1980s: 10 mm (0.4 in.) diameter tip articulating industrial CCD video borescope, black and white chip with red, green and blue color sequencing. 1985: 38 mm (1.5 in.) diameter nonarticulating (pipe scope), full color CCD industrial video borescope. 1986: first portable system case video system - the internal dimensional analysis kit. Built in color monitor with compatible keyboard; image freeze and video discontinuity measurement; digital video image phone linkage to transmit test images stored on floppy disk. 1990: 11 mm (0.43 in.) diameter, articulating, full color CCD video borescope. Second generation portable system case, built in cathode ray tube, keyboard, analog to digital conversion, internal 100 MB hard drive or floppy disk; image comparison, internal modem image transmission, video cursor measurement, menu driven image processing, floppy disk loadable upgrade software and case with handle. 1991: first battery powered, over the shoulder portable, CCD video borescope system. Shadow reference line projection measurement, joystick activated motorized cable pull versus hand knob operated scope tip articulation; 8 mm (0.3 in.) diameter, articulating, full color CCD video borescope; third generation portable system case, built in miniature computer, digital zoom, miniature cathode ray tube, light source, camera control unit, three dimensional computer aided design wire frame measurement of stored digital images, case and handle; remote visual testing report software, text template, digital images and digital voice annotated inspector comments. 1992: video borescope curvilinear pipe wall pit measurement using pipe axis alignment correction; three dimensional computed aided design wire frame discontinuity measurement by video borescope. 1993: fourth generation portable case system with built in or remote liquid crystal display, scope camera control unit, light source, memory card and SCSI port for external digital accessory expansion options; optical borescope eyepiece discontinuity measurement using digital processor with interchangeable off the shelf CCD eyepiece camera, developed and patented in the US. 1995: 6 mm (0.24 in.) diameter, articulating, full color CCD video borescope. 1996: live transcontinental US Air Force F100 engine test via digital image exchange between Savannah, Georgia, and Berlin, Germany. 1997: digital store measure industrial miniature computer for scope systems; unique architecture utilizing miniature ball grid array digital signal processing to meet stringent small size specifications; simultaneous live digitized eddy current impedance plane read out on live video image; video borescope with stereoscopic measurement of discontinuity size using dual objective base line separation calculations, scope handle thumb mouse for menu navigation, internal microphone for annotation of stored images and compatible miniature liquid crystal display; hands free goggles to view tests. 1999: 5 mm (0.2 in.) diameter, articulating, full color CCD video borescope. 2000: smallest system case to date; brightest internal light source; integral system liquid crystal display in scope handle. 2002: fifth generation system case video borescope with live digital motion capture; USB fast digital communications port; removable plug in image storage media; personal computer programmable and activated scope articulation; depth perception and three dimensional viewing of test object's internals; 4 mm (0.16 in.) 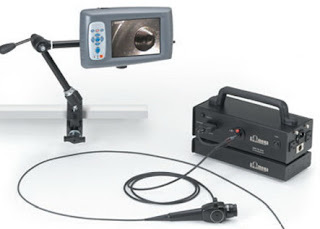 diameter, articulating, full color CCD video borescope. Today it is difficult to find anything to perplex our mind. Orbital telescopes penetrate the space abyss, and high precision cameras are installed in the smallest devices like mobile phones. But for industrial purposes a new Medit camera gives an outstanding example of high tech device. This camera is designed to be used in a wide variety of Scientific Imaging, Endoscopy and Microscopy applications. You can read more about these interesting devices here. Here I'd like to present some pictures made with the help of this camera. Video inspection systems are widely used in the industry. From piping systems to aircraft engines, a videoscopes allow to see places that are otherwise impossible to get inside. The most important component of a video inspection system is called a borescope. It is a tube that has a camera on one end and a viewing system on the other. Video borescope works pretty is designed like a pipe or tube that can be inserted in small, tight, out-of-the-way spaces. Video inspection systems are of particular value in the medical industry, particularly in the diagnosis and surgical field. The advent of video inspection systems allowed doctors to see inside a body and make accurate diagnoses. Many types of medical instruments can be attached to the camera end of an endoscope that allows it to perform precise surgical procedures. Nowadays videoscopes are getting more sophisticated use as borescopes become smaller and powerful. It is interesting to see what kind of devices would help us in the future. If you are interested in these devices (borescopes, videoscopes) you can find more information at this site. A good example how a borescope can be used in building industry. Sometimes it is necessary to check for mold inside building constructions. Unless a building area is already visibly damaged or moldy, we proceed with as little damage or "invasiveness" as possible. Often no invasive cuts are needed to see into a building cavity. Often an experienced inspector who knows where to look, can reach very reliable conclusions about hidden mold with no damage to a property at all. 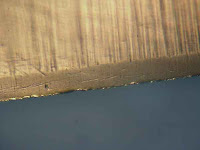 Or we can perform non-damaging invasive inspection such as the careful removal of trim for further inspection. Where a 2" diameter hole is not permitted, we may explore using this small borescope which requires a hole about the diameter of a pencil. Often this probe can be inserted behind loose trim or in existing building openings to permit a limited-access view of building cavities without any destructive cuts at all. You can shop, or find additional information on borescopes here. Pinnacle Airlines outfits its maintenance bases with the new 4mm diameter 1,500mm long videoscope kits. The 3-kit buy intends to replace existing fiberscopes and older technology video units. The videoscope kit has an additional advantage in the compatibility of the base video processing/illuminator and display unit with both rigid and flexible borescopes of various sizes allowing the recording capabilities to be extended for use for all visual inspections using cameras and other adaptors as needed. Medit Inc offers a wide range of rigid borescopes for professional users. The borescopes provide a very bright, clear, detailed images. Medit borescopes are equipped with new objective lenses with a wider view field and light sources. The brighter illumination makes even challenging applications routine. A wide choice of different models (from 2.7 mm-175mm to 4 mm-330 mm) means that there is a borescope to suit most applications and budgets. Most machined metal parts afford ample access for the Medit micro borescope to see burrs and surface finish in bores and cross holes. You can find other types of borescopes for looking into larger, dark spaces including automotive and aircraft cylinders, pressure vessels, pipes and even within building wall cavities. You can also buy a carry case, portable light source and a coupler for PC connection. Airlines are flying again and passenger levels are approaching records highs. All that flying means that there is more maintenance work. One area that is seeing a lot of growth is the engine side of the business, not just the big jobs like overhauls but smaller tasks like inspections and module changes. At the front of this growing wave of work is a small Miami, Florida-based turbine repair shop called Complete Turbine Service. CTS specializes in the kinds of jobs that large shops shy away from but that some airlines with limited in-house maintenance staffs find logistically difficult to arrange. Jobs like borescope inspections, hot-section inspections, engine runups, and module changes. The owners of the engines, in many cases leasing companies, prefer doing business with an FAA repair station, according to Walter. There are plenty of consultants available to check records, he added, but when it comes to fixing something that they find wrong, then the owner of that engine is going to ask for quick service. And a company like CTS is able to provide that service. "We saw in the engine shop," he explained, "that when you bring in work to the engine shop, it slows up work that makes you the most profits. We set up another shop and did hot-sections, gear boxes, fans, and field support." CTS now employs 15 to 18 people, depending on the workload. Some are full-time and some work for aviation employment contractors. The amount of work varies, depending on many factors, but in an average month, CTS techs perform 15 to 20 borescope inspections plus module swaps, engine prebuy inspections, and teardowns for parts reuse. I had borrowed scopes before. I use it to look into the cylinder bores on race engines to check for piston / bore damage, saves taking the engine a part to check. I also use it after draining the oil in race engines, to check for signs of premature wear of the crank. Also looking inside gear boxes and differentials. Really any mechanical part that is normally removed for visual checking, many can be visually checked with the scope. Phil Wall Cambridgeshire, United Kingdom. I will be using the fibrescope during survey work looking for bats in crevices in walls, wood joints in old barns or just about anywhere the little critters can go. In Europe bats are protected species along with their roosts. As such if you want to convert buildings or carry out work on buildings which may contain bats you have to have a survey done to check if any are present. If they are present then restrictions on the works can be imposed by the planning authorities. It generally works okay, for the bats and the developers. quality not as bright and just awkward to use. Fibrescopes will be used more and more I anticipate; because of the ease of use and more accuracy of surveys, to that end are you perhaps interested in a UK agent for perhaps selling your fibrescopes? They will always be a small niche market for bat work, but my above mentioned colleague has been using his during some survey work for Great Crested Newts (Another European protected species) so the more people get used to fibrescopes at reasonable prices the more they will want. You will view the inaccessible areas with crystal clarity: MEDIT borescopes are high quality optical tools designed to penetrate places where your eyes can't go. They are self illuminating, and deliver a brightly lit, magnified image of the inspected area to the eyepiece. You will speed up inspections: Even the toughest inspections will be done quickly. And there is no interpretation needed. Therefore, labor is reduced and equipment downtime is cut. You will improve preventive maintenance: You will do close-up interior inspections without the need for dismantling equipment. Estimate needed repairs. And identify potential problems before they become major headaches. You will cut manufacturing re-work: By examining new equipment interiors for signs of damage before installing them, you will cut re-work frequency. Maintain quality control levels. And improve vendor responsiveness. You will increase safety: With borescope inspections you will ensure proper operation of relief valves, rupture discs, piping, boiler flames, etc. Find corrosion, cracks, blockages, materials buildup and coatings early, before they cause serious damage. And view hazardous operations from a safe distance. The complete line of MEDIT borescopes includes rigid and fiberoptic borescopes, flexible fiber optic fiberscopes, video cameras for borescope and fiberscopes, Software Image and Video Recording systems. During last years, there has been an increase of technology in the sphere of non-destructuve testing. We now have the ability to see and inspect every inch of an aircraft. Prices start to come down. Some of the products are a little pricey right now, but they are on the downhill swing. Borescopes and videoscopes allow a technician to see items from a remote location through a direct viewing system. This can be accomplished using borescope technology, miniature camera or a combination of both. Most models are adaptable for use with color monitors, if they are not provided already, allowing for a clear picture into the test area. If you are looking to purchase this type of equipment, the first thing that you must do is to determine what you are going to inspect. We have seen shops purchase the highest priced piece of equipment, only to be disappointed by the performance. They did not purchase the right tool for the right job and this will make all of the difference in the world. There are some very good multi-purpose devices on the market now. We, at Fiberscope.net, would like to offer you time-proved videoscopes for qualified maintenance technicians. No secret that Medit Inc offers a wide range of inspection devices: borescopes, fiberscopes and videoscopes. But what many people don’t know is that these medical and industrial tools are also used to make movies and television programs. Here we’d like to take a look at a bright example of videoscopic film-making. Today, these interesting devices are widely used for tasks ranging from emergency rescue to aircraft engine and nuclear power plant maintenance. Wonderful that as technology has advanced, the image quality and mobility of videoscope systems have improved, thousands of unexpected new uses have been found for these versatile tools. Two cinematographers, Jeff Morales and Alastair MacEwen, made an interesting film for National Geographic Television & Film’s popular Explorer series and television specials. Their one-hour program, titled ‘Insect Wars,’ gives viewers an inside look at a world they would otherwise never see. Murder, torture and imprisonment may be the standard tools of repressive regimes – but humans do not have a monopoly on such tactics. But I'm sure we shouldn't act like insects - we are human beings! Videoscopes played a key role in capturing some of ‘Insect Wars’ most dramatic footage. When you watch Matabele warrior ants mount an attack in South Africa, or slave-taking Polyergus ants conduct a raid in Arizona, you feel the presence of giant insect empires engaged in war. Videoscopes also take us inside a hive of honeybees to show the unique defense mechanism of bees to protect their nest – with heat generated by vibrating their bodies. No doubt, the future will discover new fascinating examples of videoscope application. Maybe you will pioneer these new areas of application. And our company will do help you! If you use a borescope it is necessary to illuminate the object you are observing. There are two basic types of borescope illumination: hot light and cold light. Hot light means the borescope contains a bulb at the tip. This is no longer common but some scopes still use this type of illumination. It has the downside of heating the object as well as the potential to break the bulb. Cold light means that there is an external light source and the illumination is transmitted through the scope using optical fiber. Light sources vary from portable flash light types, which attach directly to the borescope, to metal halide arc lamps, or even 300 watt Xenon lamps. For the line powered light sources it is necessary to use a fiber optic light guide (or a liquid light guide) to connect the light source to the borescope. The amount of light you need depends on the size of the cavity that you need to illuminate, the amount of Illumination fiber in the borescope and the sensitivity of the detector, be it a camera or your eye. For illuminating most machined metal parts, metal tubes, rifle barrels, etc. a simple hand held portable light source can be used very effectively. When viewing larger cavities such as engine cylinder, large casting, inside of walls, fuel tank, oxygen tanks, etc, then you will need a higher-powered light source. There are three major types of borescopes: Rigid, Flexible and semi-rigid. All borescopes have an objective lens at the tip, much like a camera lens, to form an image of the object to be viewed. The objective is followed by an optical relay, to transmit the image down the tube. The eyepiece then magnifies the image to be viewed by the eye. The major difference in the three types of borescopes in the optical relay. Rigid borescopes use lenses to relay the image down the tube. 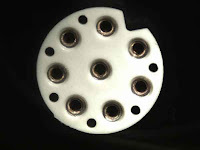 These can either be a series of achromatic doublets, Hopkins relay lenses (often referred to as rod lenses or Hopkins rod lenses), or a GRIN relay lens. These rigid borescopes give the best image quality of the three types. The resolution is typically diffraction limited at about f/5, meaning that the relay lenses have a resolution of resolve 5 microns. This means that a typical 4 mm diameter rigid borescope having a roughly 2 mm diameter optical channel, can resolve 400 lines(200 line pairs), or approximately 130,000 pixels. A typical 8 mm diameter rigid scope may have a 4 mm diameter image and therefore 800 lines (400 line pairs) or about 500,000 pixels. Rigid scopes have the best resolution by far. Prices range from $500 to $3000 depending on the features. The rule is always use a rigid if you can. Only use a flexible if you have to. Rigid borescopes can typically be purchased with various directions of view for looking at different things. Zero degree (Straight ahead) and 90 degree are the most common. Ninety degree scopes are often used to inspect tubing, rifling, weld joints, cross, holes cylinder walls, turbine blades, etc. Seventy degree and 110 degree scopes are also commonly used for viewing valves in engines. Different fields of view are also available. Flexible borescopes use coherent fiber optic imaging bundles to relay the image from the objective to the eyepiece. These bundles allow the scope to be flexible but at a high cost in resolution. Typically these bundles resolve 10,000 to 30,000 pixels … roughly a factor of 10 less than a rigid borescope. There are two types of fiber optic image relays: fused and leached. Fused fiber bundles tend to have smaller diameter fibers, giving higher resolution. 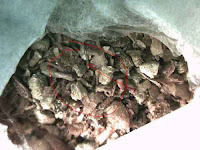 However, they have cross talk between the fibers reducing contrast. Blacks aren't as black and whites aren't as white. They are also less flexible than leached bundles and are therefore more prone to break. Leached bundles have typically 10,000 to 20,000 pixels. The fibers are separated so that there is no cross talk, giving much higher contrast. It is hard to emphasize the importance of contrast in writing, but when you see the image, it is dramatic. High contrast is important, often more important than the number of fibers. Having more fiber doesn't do you a lot of good if the image is low contrast. You won't get the resolution you want anyway. Quality flexible borescopes are also much more expensive than rigid borescopes. Prices range from $1500 for non articulating to $15,000 for high-end articulating models. Once again, use a rigid borescope if you can, use a flexible scope if you have to. Flexible borescopes can be either articulating, or non articulating. A 4 way means that the tip of the scope can be articulated up/down and left/right. A two-way scope would only be left/right. If you need to snake through a bent tube, a non-articulating borescope may be just fine, but if you want to go through a hole and look around inside a cavity, then you probably need articulation. Rigid borescopes give higher quality images, are easier to use and are less expensive than flexible scopes of similar quality. Choose a rigid borescope unless the rigidity is a problem, and always choose the largest diameter scope possible. A flexible fiberscope lets you see inside spaces that a rigid borescope can't penetrate. Viewing inside dark cavities is easily accomplished through a variety of optional light sources. For field inspections, high-power handheld rechargeable light sources work best. However, an external AC powered light source and light guide will provide the most amount of light. You can find a good selection of rigid borescopes and fiberscopes at the Fiberscope.net specialized online store. Why Do I Need a Borescope? There are many applications where borescopes are useful and even critical. Borescopes are used routinely by quality control departments to inspect machined parts for automotive and aviation components. Key components such as fuel nozzles, manifolds, hydraulic components and systems, welded tubing, engine cylinders, valve seats are all inspected using borescopes. The borescope allows the inspector to see defects inside the part that would otherwise go undetected, causing a potential failure down the road. Without borescopes, quality control people often resort to destructive testing which is both costly and time consuming. Borescopes can pay for themselves quickly by finding problems BEFORE the parts get to the customer, by eliminating the need for destructive testing, and by improving overall quality. Gunsmiths and precision shooters also use borescopes to inspect rifle bores. for defects, wear, fouling and erosion. Aviation mechanics use borescopes to inspect turbine engines, to inspect compressors and fuel nozzles to inspect combustion chambers and many structural inspections as well. 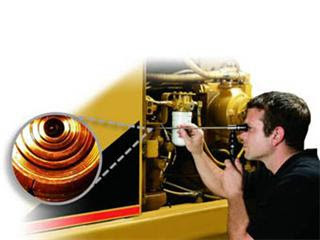 Auto and diesel engine mechanics use borescope to inspect cylinders, piston crowns, valves and valve seats. This often prevents costly time consuming tear down. 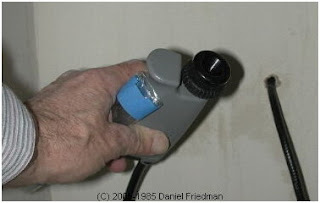 Building inspectors use borescope to view behind walls for structural issues, mold, termite damage, water damage, etc. I found an article describing the convenience of videoscope using for engine maintenance. It's just an example of borescope application, and we offer far better products than described here. If you are looking for a good instrument for engine servicing, you are welcome here. JT8D engines are borescoped on an "as needed" basis, such as when significant fan-blade FOD is found and maintainers suspect compressor damage farther downstream. Another reason to look at a compressor is when an engine experiences a stall, surge or chug. The only way to know if the problem was caused by compressor-blade damage is to use a borescope. Older borescope equipment found at each squadron's Raytheon on-site storeroom (OSS) has a large eyepiece and is difficult to use. The Navy now has a six-millimeter videoprobe borescope available for C-9B and DC-9 squadrons. This new gear uses a hand-held videoscreeen in place of an eyepiece, has the capability to measure damage found by the probe, and saves the image to floppy disk. You can view these photos on a computer screen and transmit them by e-mail. The small diameter of the insertion tube, 6 mm vs. 8 mm on the old type borescope, allows easier access to the 13th stage blades. Access is gained by going through the igniter-plug hole near the compressor-discharge area. A flexible Videoscope or Video Borescope is an advanced type of borescope that houses a very small Borescopes with CCD chip embedded into the tip of the scope. The video image is relayed from the distal tip and focusable lens assembly back to the display via internal wiring. This is unlike a traditional Borescope and Fiberscope. Borescopes use hard optical relay components to transfer the image from the tip to an eyepiece and Fiberscopes use coherent image fiberoptics to relay the image to one's eye through an eyepiece. The image quality of a videoscope is superior to a fiberscope and could be compared to that of a high-end Video Camcorder. Videoscopes are normally 10 mm or less in diameter and come in lengths up to 50 ft. Several integral features include the insertion probe section, the articulated tip, articulation controls (up down left right) on the control handle, lighting bundle, high intensity external light source and cable interface with outputs to the display (LCD or CRT) and external media recording device such as computer hard disk or compact flash card. The system normally will record either live video or still photos. As either an AC or DC portable visual inspection system, the components are designed to be compact and be hand carried without shipping cases on wheels or large boxes. Borescope is a rigid (industrial endoscope) or flexible (fibrescope, flexible borescope) tube with an eyepiece on one end, an objective lens on the other linked together by a relay optical system in between. Borescopes are used for inspection work (borescope inspection) where the area to be inspected is inaccessible by other means. There is 2 main types of borescopes. Flexible borescopes also are called Fiberscopes - because their relay optical system that trasfer image consist of thousands of tiny fibers (fiber optic image bundle). Rigid borescopes (bore scope) are similar to a fiberscope, but have a higher quality image and are not flexible. Rigid borescopes are therefore better suited to certain tasks such as inspecting automotive cylinders, fuel injectors, hydraulic manifold bodies and gunsmithing. Rigid Borescope on sale or flexible fiberscope may be fitted with a magnifying device and a way to illuminate the work being inspected, usually illumination fibers contained in the insertion tube of the borescope. 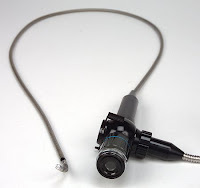 The eyepiece may be fitted with a coupler lens to allow the borescope to be used with imaging devices such as a video cameras for borescopes. Borescopes can be used for rifle inspection and precision shooting as well.